Mr. Kelly is a partner in McCarter & English’s Government Contracts & Export Controls Group. He brings over thirty years of experience to the group. Mr. Kelly’s practice combines both counseling and acting as an advocate on behalf of clients doing business in the government marketplace. 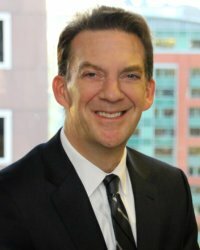 He has knowledge of the government contracting process both on a federal and state level, and the specific laws, regulations, contract clauses and dispute resolution mechanisms in this specialized area. He provides advice and guidance to clients who are in the government supply chain, either as prime contractors, subcontractors or vendors. He reviews government solicitations with clients, prepares proposals, and negotiates teaming arrangements and subcontracts with other suppliers. He helps clients build and enhance their compliance programs. He assists clients in protecting their intellectual property and proprietary information concerning their businesses when doing business with the government. He advocates for clients who wrongfully were passed over for a contract award. He prepares claims arising under government contracts as a result of change orders, delays, and terminations for default or convenience. Mr. Kelly’s practice extends to a broad spectrum of industries and federal and state authorities for whom they supply research, products and services, including emerging and established biomedical, intelligence, pharma, security, and textile R&D, manufacturing and production houses working under prime and subcontracts, SBIRs, CRADAs, OTAs, and grants for DoD and civilian agencies; Medicare and Medicaid audit and investigation service providers; commercial software developers who modify their software for military applications; professional services providers; and raw materials and component suppliers to large military prime contractors. In addition to serving as Vice President and a member of the Board of Directors of NDIA NE, Mr. Kelly serves on the Board of Directors for NCMA Boston (National Contract Management Association), and is a frequent speaker at NCMA and NDIA events. Mr. Kelly serves as an adjunct member of the faculty at Suffolk University Law School where he has taught Government Contracts.